If you are a parent with small children and never heard of Diapers.com then you are absolutely missing out. Diapers.com is a premier ecommerce website and online shop in US that offers more than just great deals on different diapers brands. They also offer toys, children's books, baby bath care products, breast feeding products, baby food and formula and a whole lot more. What is even better is that Diapers.com also offers products from all of America's leading brands such as Huggies, Pampers, Earth's Best, Chicco and many others. In addition to offering an excellent and unparalleled product catalogue, Diapers.com also offers some of the best deals in the world when it comes to products for babies, children, toddlers, and Mothers. By shopping with Diapers.com you can save tons of money on diapers, nursery furniture, car seats, strollers, baby and infant bedding, baby wipes, portable beds and play-yards. Diapers.com makes shopping with them appealing because they offer numerous free shipping options with high speed delivery. With the massive product selection andaffordable prices you really cannot go wrong with Diapers.com. How USGoBuy Forwarding Service Assists Your Diapers.com International Shopping? Even though Diapers.com does not ship internationally you can order products through them using a wide variety of available US based mail & parcel forwarding services. 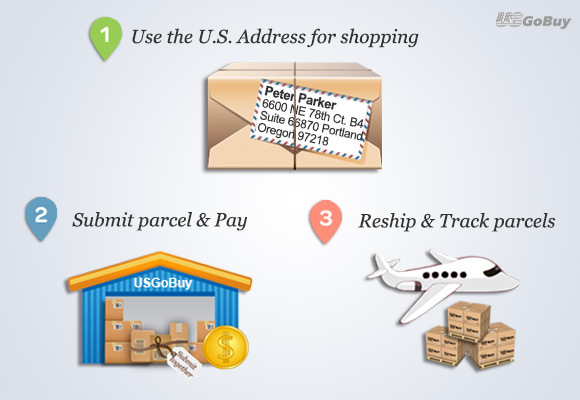 USGoBuy.com parcel forwarding service is strongly recommend for international customers. By using USGoBuy mail & parcel forwarding service, you can have your Diapers.com products sent to a certified US postal address issued by USGoBuy mail forwarder. Once USGoBuy receives the Diapers.com order, they will then forward it on to your international destination. Even with the international shipping costs, international buyers still regularly shop with Diapers.com due to their affordable rates and vast product selection.